SEOUL, Sept. 25 (Yonhap) — Samsung Electronics Co. is expected to post a record operating profit of 17.2 trillion won (US$15.4 billion) in the third quarter, backed by firm demand for memory chips, market sources said Tuesday. The consensus by major brokerage firms marks an 18.5 percent on-year increase in the tech behemoth’s profit for the July-September period. The revenue is forecast at 65.2 trillion won, up 5.1 percent from a year ago. The company is expected to release its third-quarter earnings preview next Friday. The world’s top smartphone maker logged a record high 65.9 trillion won in sales in the fourth quarter of last year and a record high of 15.6 trillion won in operating profit in the first quarter of this year. Strong demand in memory chips is mainly cited as a key factor for the record-breaking earnings rally for Samsung Electronics, analysts said. The memory chip market has defied the earlier forecast of many analysts that tipped a downturn of DRAM and NAND flash. While it’s true the prices have been on a downtrend, fresh demand has helped it keep up the overall sales, they said. 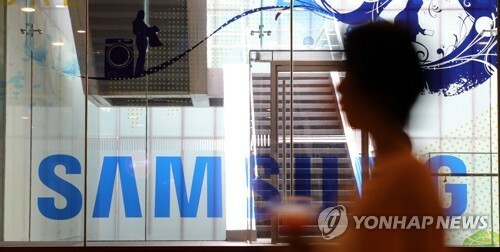 On the yearly basis, Samsung Electronics will likely record a combined 250 trillion won in sales and 65 trillion won in operating profit for 2018, according to the analysts.